What is Hygge? Is it only for Winter? This is a great question, what is Hygge? I am so glad you asked and that I have received so many great emails about it. 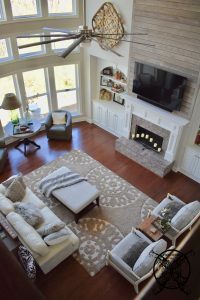 The Hygge design movement has been all the rage over the past few winter months and slowly creeping it’s way into the US. It seems to be moving even slower getting to the south, where I am located. Since we do not have heavy winter’s here our winter Hygge would need to be scaled back just a bit. Hygge (pronounced “HUE-gah” or “Who-gah” not higgie…. even though that would be such a cool name for a design concept) Hygge is a design fundamental from the Danish culture. It is the Danish word for describing coziness, comfort, along with the feelings of wellness and contentment. There are so many ways to describe Hygge, but the simplest way is the enjoying of life’s simple pleasures with friends, family and graciousness. Hygge is so much bigger than just a design concept, it is a total lifestyle. Since you specifically asked about Hygge in design I will start there. Most of the Hygge design concepts I have seen lately have concentrated on the creature comforts for the winter months by utilizing such material as shearling, knit or fur through the use of pillows, throws, socks, and bedding. For example, you may have seen a Hygge picture that consisted of a chunky knit blanket, with a pretty cup of tea by the fireside, and thought oh Hygge is cozy for winter. News flash, Hygge can be celebrated and enjoyed year round. Since it is all about wellbeing, and surrounding yourself with the things that you love. It can be any season, a cozy winter’s morn, a fresh rejuvenating spring, a warm balmy summers night, to a bountiful fall harvest, really anything goes. Warm and Comfortable– Hygge does not a thrive in sterile environments, like a staged magazine photo that looks untouched or unlived-in. This will also include your homes climate, not too hot or too cold. Incorporating Your Past- Your past is your story. By displaying pieces of meaning, proudly among the treasures of your home, you are embracing your history, your story. This is the number one miss when decorating. You can buy a bunch of pretty things but if you have no story to go along with them, they have no value to you as a person. Which gives your home more of a staged feeling. Hygge wants you to surround yourself with the things you love and incorporate them into your home for an authentic feeling. Less is More- minimalist design is important. You should have a few high quality items that mean something to you, rather than a lot of trendy space fillers. Decluttered countertops, clean lines and light color pallets all promote a minimalist feeling in a home. Sight- Lighting, while esthetically pleasing, is a nice way to create a proper Hygge environment. You need your lighting to be first and foremost functional for the space, then concentrate on the pretty. Color pallets need to be pleasing to the eyes as well, it can be monotone or even bright colors. I find that sea tones, in blues and greens, create my happy spots. Sound- music is also a large aspect of creating a beautiful and comfortable environment. Serine and soft sounds that invoke a sense of peace. Sounds of crickets, babbling brooks or ocean waves will all fit the bill. For me, I find a lot of serenity in the subtle sounds of nature. The tree frogs and crickets that inhabit this little duck pond off my sleeping porch are natures perfect lullaby at night. Smell- candles and aroma therapy are also very Hygge. Pick a smell that you like and makes you feel calm and happy. This could be the smell of fresh linen, your favorite perfume, or even room diffusers with healing essential oils. Texture- a focus on touch and feel is important too. Adding warm woods, smooth leathers, and cozy linens will go a long way in creating your perfect cocoon. Warm cozy socks and cuddly soft Pajamas are both considered very Hygge. Texture can be enjoyed both by adding visual interest and by actual touch. Taste- while taste may not seem to have much to do with the design concept. Hygge includes having all the creature comforts surrounding you, including your favorite foods. It is all part of promoting the well being and comfort of your soul. In conclusion, Hygge is not something you buy but more of a state of mind. It speaks to an atmosphere you have created. It’s a peaceful zen, maybe it’s one of the reasons that the Danes are nominated the happiest people in the world. So, now when you see these design concept you will know a little bot more about the Hygge movement. Heck you can even impress your friends over dinner one night with all your new found knowledge. I have not heard of hygge before but I really enjoyed this post and learned a lot. What a cool post about this type of design. I really enjoyed it a lot thank you. Okay this was a very interesting post, I do not thinkI have ever heard of Hygge design, but I really like the concept. I am really liking your blog and what you are offering to your readers. Hygge design, this is interesting I love the concept and appreciate that you took the time to explain it so throughly. These Ask The Designer posts are really great, I learn so much. Thank you. Thank you for clearing up all my confusion on this hygge, business. I have been mispronouncing it and misusing the term all over town. In fact one of my friends politely told me about your post, so I think she was trying to let me know I was clueless. This is such a interesting post, I have been hearing a lot about Hygge design. I love the entire concept. 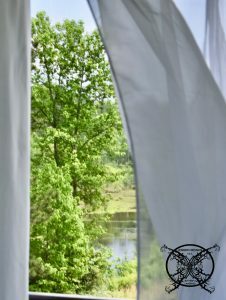 I decided to check a few other posts while I was here and Hygge design really resonated with me since I have been wanting to know more about it. You have a lot of great knowledge and posts on your site I am so glad that I found your blog, I must bookmark your site for more reading when I have time. I have been hearing a lot about this design trend thank you for dumbing it down for me and clearing up what it is actually all about. 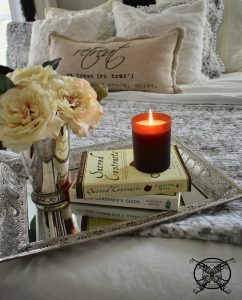 Hygge design is super trendy and popular right now, I see books about it every where. The concept is really great, I think we have all been doing it inadvertently all along, who knew, right? I have been wondering what this Hygge was all about thanks for clearing that up! Never heard of it but I love this post, great design ideas and beautiful pictures. You have such well written blog, I really love the topic you choose to write about, the content and the beautiful pictures. You really are doing such a nice job, I hope you continue to keep blogging. I am really enjoying where interior design and decor trends are going these days. Some are retro and revisit the days of old but others just mash everything together to make a new concept. I found this to be a very interesting post. While I am not a designer by any means I do like to keep up with styles and trends, so this article was very useful, thank you. Very cool design trend I am all about it for my home. I think I already do this in my everyday day design and I had no idea it was a thing! Oh my goodness who knew! Gorgeous pictures, love the way the elements play into the design concept. What a fun name, I will admit I thought it was Higgie but I love the concept. I heard one of my girl friends talking about this at book club the other day. She said it meant cozy, just like your said, but now I hav the scoop and can tell her a thing or two. I just saw a book on this at Barnes and Noble the other day, I picked it up because the name Hygge peeked my interested but then my little one ran off into kiddieland and I had to follow. Thanks for all the great info. that I missed out on, you made my day. This trend is really starting to make its way down from Canada, I am in Seattle and we are seeing a lot of Hygge based design marketing. Since we have cooler climates year round, maybe this explains society embracing the cozy side of it. This title caught my eye I had to see what Hygge design was all about, your pictures are fabulous, and this article is full of great information and advice. Thanks! I am a design student and we just went over this last week. How funny I would find your article now. Great pictures you home is gorgeous and if you say is it Hygge, then I believe you I would totally feel comfortable there. It is funny how things we naturally do intuitively, become a form of design. It’s like that wall sign “excuse the mess we are just making memories” we fall into it by accident. It was so nice to meet you the other day, and I absolutely love your site. This was a super fun read and I can certainly see exactly what you were talking about. Loved this read and the fantastic pictures your selected for the post. Nice job! Hygge is the wave of the future. I can see everyone make this this transition easily. I will have to study up on Hygge design for school, thanks for the heads up. My husband family is from Norway & Sweden and focus on this type of lifestyle too. It was such a join when we married to visit them and emerge myself into the everyday way of life, I had to bring it home with me. Fantastic blog post, thanks for highlighting our culture. This is a fantastic way of creating a homey space. Love this new design trend and look forward to seeing more. Hi there, yes I am all studied up in the Feng Shui department too. :) I personal love the principals of Feng Shui, and have implemented several into my home. Some were considered prior to building, for example pick a lot that faces the proper direction for our goals, and choosing the proper color choices for our lifestyle. While they do have some similar design concepts, like feeling comfortable in your own environment, and implementing sensor elements of nature, they do differ. Feng Shui is based up on the actual layout of your home as a whole, verse Hygge which is more of a design concept. I am with the masses I thought it was just a winter thing I admit, it is nice to have trustworthy point of reference such as yourself. Thanks friend! I just saw a Instagram post about this type of comfort design, thanks for the follow up information. 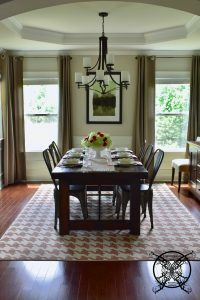 I learned so much from this post on Hygge designs thank you. Just checking out a few of your other posts while I am here. This was a very interesting topic, nice job. 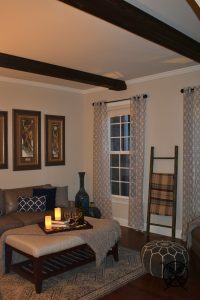 Hygge design sounds like my kind of style, there is something to said for surrounding yourself with comfort. Great pictures your home is the tops when it comes to hygge design. I have never heard of this design style but I like it. Anything that involved the senses and things you love would be a winning combination in my book. I always learn something new when I visit your site, thanks for always being on the cutting edge of design trends. I think this is similar to Feng Shei, are you familiar to the asian based design too? Just wondering what you thoughts are about the comparison. I love this idea, even though I have not heard of Hygge design before I am sure to be it’s biggest fan. What a interesting post, I have not heard of this design trend at all but I really do like it. To me that just proves you are on the cutting edge of design for our region or area. This is a read neat design idea, I love that it is focused on all the things that one loves. It is a positive focus on the family and a way to surround yourself with people and things you love. I love this this concentrates on creating a environment of comfort, to include all the sense of the body. Smells and sound are so important and a great way to create your own serenity. I really found this article very interesting and I love all the pictures of your home. It is so pretty. 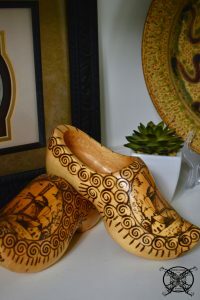 Those dutch shoes are such a fun piece of your heritage, and perfect for the dutch hygge, post. I always learning the neatest stuff from your website, I am not get out to it all the time, but when I do it never disappoints. Keep up the great work! This was a educational read for me. I always hope to learn one new things a day, and if ever have trouble doing that I will just stop by here you always fill my quota girl. I recently was looking at a book about Hygge design at my local bookstore. You are right it is a slower movement but it is starting to pick up momentum now. I love your pictures, they are truly very hygge. What a great post, I learned a bunch of stuff. I am excited to add Hygge design into my home, and tell all my friends about it. What a fun decorating style, I sure do love your home and if it hygge than I am sold. Hygge is a new concept to me, but I love the ideals behind the design concept. Thanks for the share! Another great post Jen! Your site is like a quickie design course and I always learn so much. Thanks for sharing all your knowledge with us peons, lol. I have not heard Hygge, but I really like the concept behind this style of design. 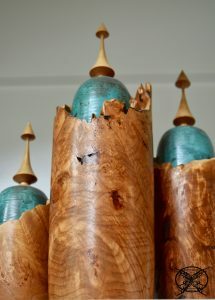 Cool post, I am new up on all the design trends but I do love the ideas and off course you pictures. What a cool design style inspired by the Dutch. I love all the basic principals, now I can say I have Hygge inspired home. Very interesting read, I have not heard of Hygge design but I like it! You always have the most interesting posts, and I am constantly learning form you about design. I think you are creating a whole new breed of online interior designers. Thank you Cass, I really appreciate your support and words of encouragement, they mean a lot to me. You have a great way of helping the rest of understand real design concepts. I like that you provide us the knowledge and background to understand why it is a design concept. Where it came from and how to used it in your own home properly. not just It thought it was pretty so I bought it, LOL which is also part of it. This is fantastic! I’ve been hearing so much about it as well and was totally confused. 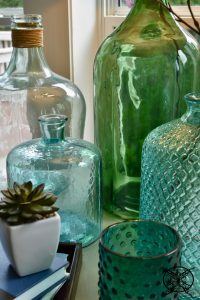 It’s a nice idea to incorporate it into your home as a kind of intentional living sort of style. BTW your home is beautiful! Oh I LOVE this style of design. It just puts everything you love together and makes it a thing. Perfect design style for me! I really believe in self love, and tranquil environments. I have heard of Hygge before but I did not know it was Danish. That is a very cool post, glad you are bring this idea to the forefront of design in the south. What a fun read, I feel like I just took a short course in design school. Thank yo use much for sharing all of your wonderful knowledge with us here in cyber world. Love your blog, keep up the hard work. I have been seeing books about this type of design, but the way you presented it, is so easy to understand, plus you have gorgeous picture to help your reader see a vision of that design style. Perfect post, continue to keep the good work! I have been hearing stirring of this type of design, I love that it is a Dutch based design concept. 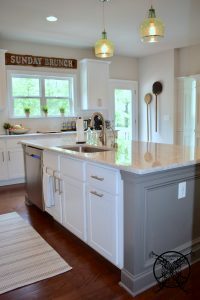 Remember several years ago the whole Pennsylvania Dutch trend, which still has a foot in the farmhouse design trend. Great information thank you! Hygge seems like my kind of decorating. 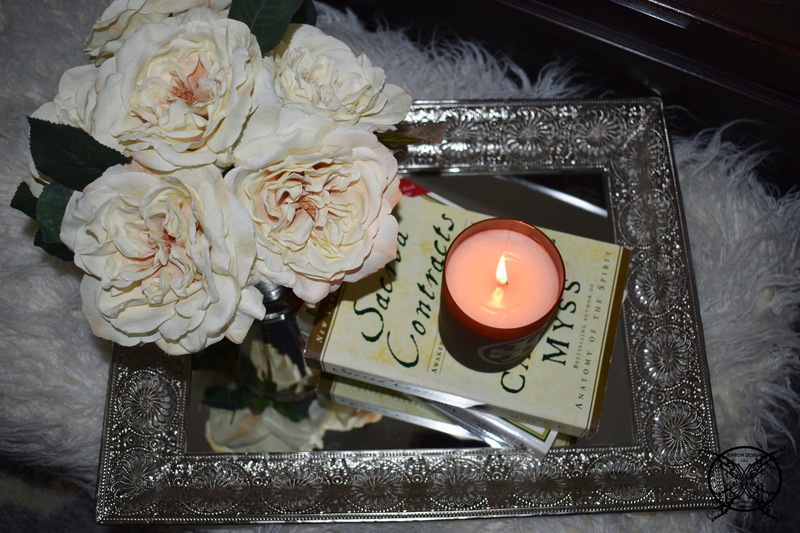 I love the comfy cozy vibe in my home and to be surround by all the things that I love. 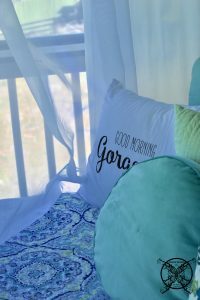 What a cool design concept, I love when my home is cozy and feels like a resort, however that requires the kids to be at school, 😀 Seriously, I loved your post and feel like I have learned a little something this week just by reading one of my favorite blogs! Such a great post I learned so much, thank you. You home is very hygge, so beautiful. Hygge??? I have never heard of it but now I am a fan. Fabulous design concept! This must be a newer design concept, I have not heard much about it yet. Good post I enjoyed it. I have not heard about this design trend, but I love it. I am all about making my home comfy and cozy. Perfect way to make a sanctuary away from the rest of the world. It took me a minute to figure out what you were talking about, and to actually pronounce it properly. I keep saying “higgie” not “who gah” LOL. I am from Montreal and we have been celebrating the Hygge lifestyle for a bit now. I am so glad to see you southern belles embracing this culture too! You will love it! What an interesting concept! I had no idea what it was, but it sounds like how I would want my home to be! This is such a fantastic post! I’ve been wanting to learn more about Hygge for a while now (I actually bought a book on it, and it’s sitting on my night stand)! After reading this post I’ve got a pretty good idea about it, thank you! You know I have seen and heard things about Hygge, but really did not know what it meant other than comfort, thank you for breaking this down in term the rest of us can understand. I have seen the word hygge floating around the internet and really wondered what it was all about. I agree it seems to be more of a Canadian thing right now, but it is absolutly making it’s way to the south. I am just happy to now know more about the entire trend and lifestyle movement. Thanks for the insight, I really enjoyed finding out more about Hygge. I have heard about Hygge. I did not know it was a Norwegian principal, that is very cool. Thanks for sharing. I’ve been seeing a lot more of Hygge on my Instagram feed and it looks so relaxing and like a great way to make your space your own. Even these pictures are just so calming! Love it! What a great post! I love that you broke the application of Hygge down to the five senses. As a fellow designer, I also get asked if Hygge is limited to winter, and I’m excited to see how this trend continues and takes on new life in the U.S. this spring and summer. Jen this is a great post, I know that I for one, have been wanting to know more about this design trend too! Thanks for doing all the leg work and making the post easy to follow and understand. Your pictures are fantastic too, love your beautiful home!